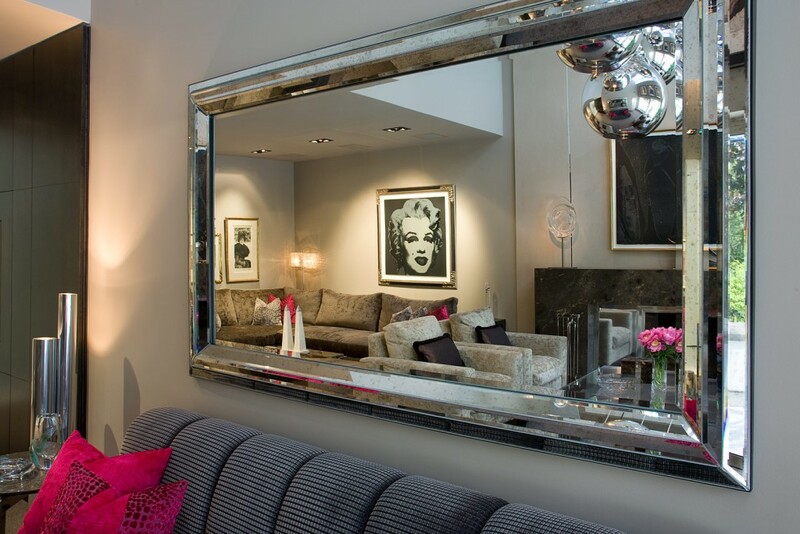 Contemporary Family Room | Portfolio Projects | Fleur-de-lis Interior Design Inc. 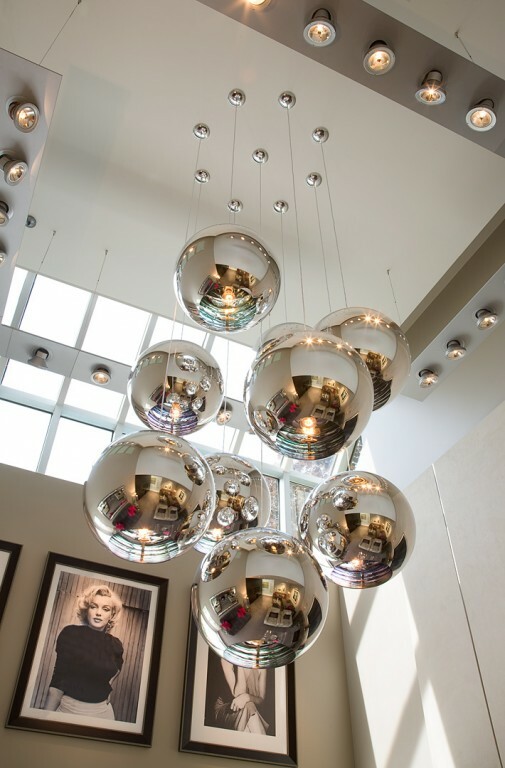 This double volume space is host to a multi-level, mirrored chrome cascading chandelier. Natural colour palette is highlighted with plush chenille and cut velvets with pops of fuchsia and taupe. Birdseye maple built-ins blend into the walls. The exotic granite mantle is a grounding element to the upholstered wall; both a backdrop for a Andy Warhol Diamond Dust Shoes, circa 1980. 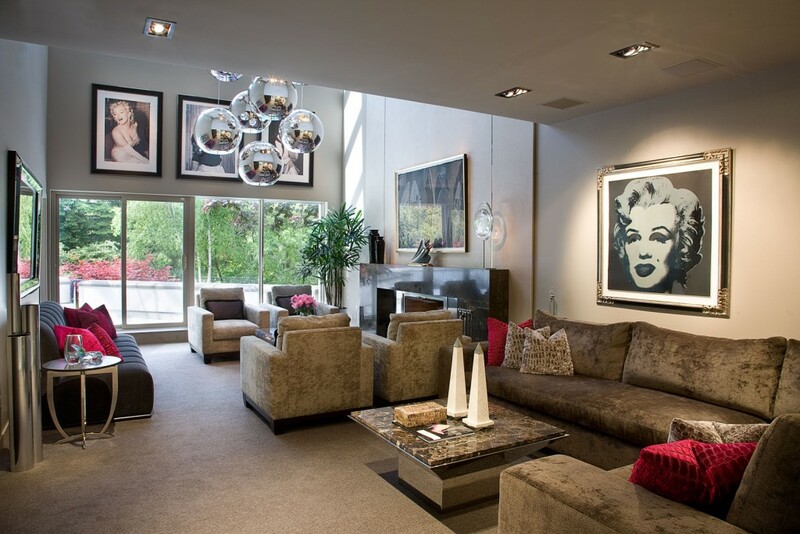 Transparent acrylic coffee table floats between four club chairs creating an intimate fireside lounge. 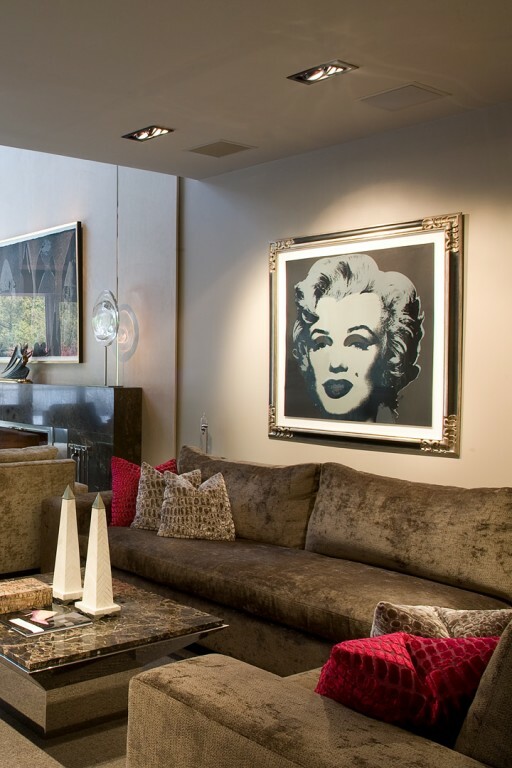 Custom sectional divides the space and defines a cozy TV viewing area.